Alongside midwifery units are defined as midwife-led units which are on the same premises as an obstetric unit (OU). They are usually next to the OU and may have come about following restructuring of the OU. A follow on study from Birthplace 2011 investigated the way that alongside midwifery units are organised, staffed and managed, as well as the experiences of the women who use them and the staff who work in them. The researchers looked at 4 different alongside midwifery units. They interviewed midwifery staff and service users, and also those in a management and organisational role. What became clear from the study was the fact that midwives working in alongside midwifery units were able to practice more autonomously, using their own clinical judgement. This is how all midwives, who are all autonomous practitioners, should be able to work, but obstetric units often discourage or reject this aspect of the midwifery role. Midwives also reported how they valued the work environment and culture, although the study did acknowledge that there was a need to ensure that midwives were supported to continue to develop their confidence, which is not a surprise as so many would have been trained in a far more repressive environment. Another challenge for the sustainability of the alongside midwifery units was the fact that of all of the women who were considered to be good candidates to birth there, only a third ended up doing so. This study does not look at why this might be, but we know from feedback from women that very often they are simply not made aware of the midwife led unit in their area, so they did not have the opportunity to consider it for their baby’s birth. 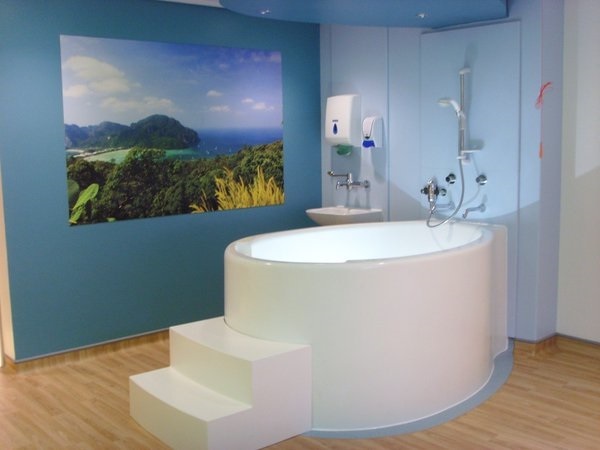 Ultimately, Aquabirths would like to see the facilities which are commonplace within a midwife led unit such as birth pools, birth couches, mats and birthing balls, as well as the environment which is designed for calm, and to promote oxytocin, available as standard within all types of units, including obstetric units. There is no reason why these facilities could not be used by far more women, and we strongly believe that if a better birth environment was available to all, that more women would birth their babies with fewer unnecessary interventions. We hope that more research like this will encourage designers of all types of maternity units to create spaces which support both women and midwives to work together for better births. Where’s the bed? 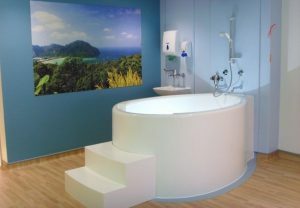 Kiwi birth unit refurbished to include birth couches and pools in every room. 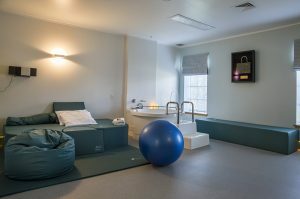 Each birthing room at the Auckland based “Birthcare” birthing centre in New Zealand has been upgraded to take the bed away from the focus of the room, and instead create a harmonious birth space with the pool and couch as the main furniture items. 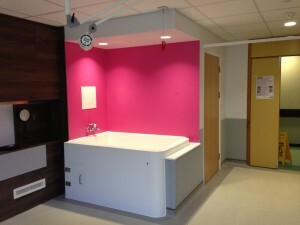 Including mood lighting (choose the colour that you like best), sound systems, bean bags and birth balls, these stunning birth rooms provide a secure and comfortable space for women to birth their babies safely. The Birthcare centre offers services seldom seen in even the best UK birth centres, such as an onsite paediatrician to avoid unnecessary transfers to hospital for non-emergency treatment, and an in-house lactation consultant service which women can self-refer back to after discharge should they need more assistance with breastfeeding. 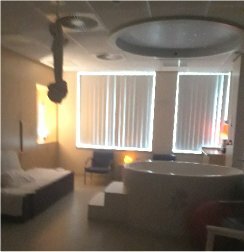 Many of our own UK birth centres have these wonderful facilities, including our own Aquabirths birth pools and Softbirths birth couches, mood lighting, sound and the obstetric bed either absent or hidden. We urge more trusts to follow this route, support birth centres and also support these facilities within the obstetric unit, to help more women to have physiological births. There is no mystery to installing a birthing bath. In may ways they are simpler than domestic baths because our baths are one-piece Single -Surface baths. Midwives designed the bath from the top down, and plumbers designed it from the bottom up! Usually, the bath arrives into a near-finished room. Plumbing should already been in place behind an IPS panel. All that should be visible is a small piece of 40mm solvent weld pipe protruding from the very bottom of the IPS (or no more than 25mm from the floor). Taps are in place by this stage too. Rada Sensor taps are also very popular. Looking in through the hatch, the finished pipe work should look like this. The valve should be as close to the hatch door as possible so that the midwives are not having to reach right in under the bath. 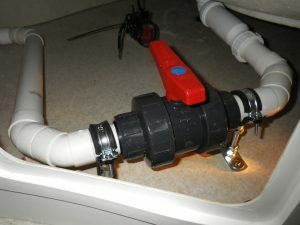 The valve is supplied with the bath. 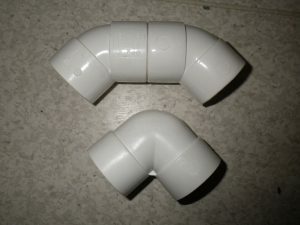 The pipe either side of the valve must be clamped to support the valve and to stop the pipework being twisted by the constant use of the valve. Anyway, first things first. This is a 2-3 person job – you’ll see why. 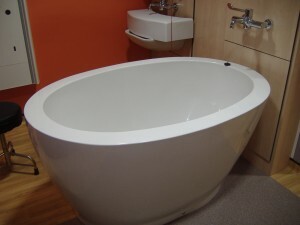 When we install a bath, we put down lots of padding and tip the bath on its side onto the padding. This way, we can, using a long level or straight edge, adjust the feet to match the base of the pool. 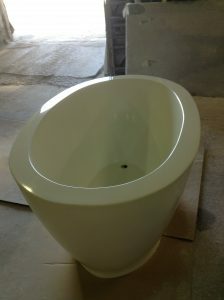 The bath is designed to sit both on the basal rim of the bath and on the feet. This is why our baths are so good at spreading the load. If you don’t think you can put the pool on its side without scratching it, don’t – the warranty doesn’t cover it. It is also easier to silicone in place the waste and, if ordered, the LED lights. The latter are fitted in the same way as a waste – a backnut and a lot of silicone! Once all that’s done, carefully turn the bath back onto its base. Offer up the end of the bath to the IPS. This way, you’ll see where the waste pipe will come through the end of the bath. mark and drill it out. First to go on the tail of the waste is an elbow and the waterless trap. The Hepworth vO is a good choice but other versions are now available. Do not use a U-bend or shower trap. They hold water which will just become a source of infection issues. Avoid sudden 90 degree corners in the pipe run. Next comes the valve and the remaining piperun to join on to the piece of 40mm pipe protruding through the base of the IPS (and through the end of the bath you’ve just drilled!). 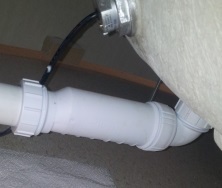 Don’t glue the pipework before you’ve tried it all in place. You may want to mark where the clamps either side of the valve are to go. It is easier to pull the bath back, drill and then put it in place. Finish the pipework. Screw the bath to the IPS and, through flanges on the base in the hatch area, to the floor. Silicone round. 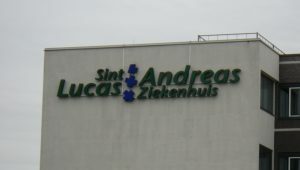 Aquabirths birthing baths have been installed in several hospitals across the Netherlands such as the Saint Lucas Andreas in Amsterdam. Now we have an agent/distributor in the Netherlands. We’ve partnered with the established Dutch company VAB so that customers in the Netherlands can discuss the baths and get support locally. Their Mobypool range is here. You can contact Maks and Hans here. Also, we now price our baths in Euros and pounds so that customers in the rest of the EU can choose the currency that suits them. 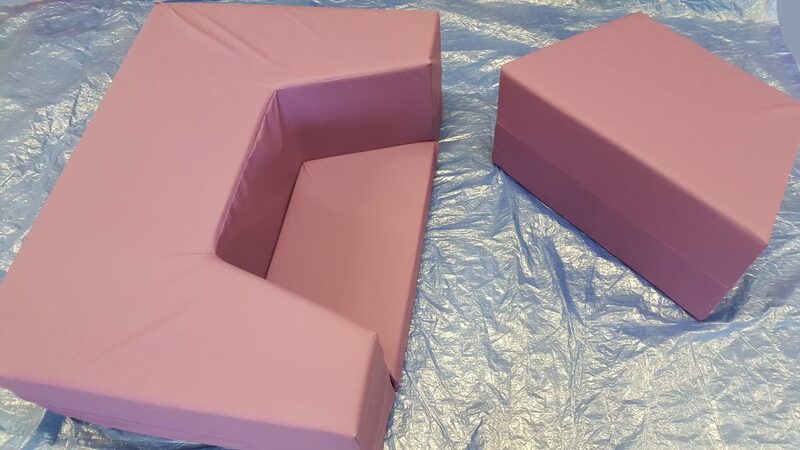 The SoftBirth birthing couch kit has a new little sis! A shorter version for smaller rooms at a smaller price. A HoM asked us to design a smaller birth couch kit for smaller rooms, so we did and will even fit in the back of a small hatchback. Anyway, with all our birth couches we offer very large discounts when more than one of the same couch is bought. So, this is £600+VAT but 3 or more would be at £500 each. As with the larger SoftBirth couch, this is a kit – the stool and kneeler are included. The mini is also FREE with Aquabirths’ Canberra, Venus and Heart-shaped birth baths. We’ve had a bit of a flurry of requests for corner baths, mainly from export customers, so we thought we’d better write a short blog on them. The short answer is, ‘yes, we do make them.’ They are an excellent option where space is a bit tight but the hospital still want to give a birthing mum the option of a water birth. Sometimes, corner baths are avoided as the midwives want to be able to access the woman from as many parts of the bath as possible. Our Dunoon model birthing bath is ideally suited to being used in a corner. It is already designed specifically to be compact and fit in smaller rooms but to still give a labouring woman plenty of room to move and keep active during birth. It does this by virtue of its rounded rectangular shape and by using space wisely so that it still has the capacity of a birth. The Dunoon can be fitted in any position and doesn’t have to go in a corner but if you let us know when ordering, we can include an extra piece of trim (at no cost) so that you can have a neat finish against the corner walls. Another of our compact birthing baths for labour and post-partum bathing, the York model, is ready to go off to the Isle of Man. With its very modern look, the York gives birth centres that luxury spa feel. As with all Aquabirths pools, it is a one-piece construction for maximum strength and infection control as well as for ease of installation. Midwives and waterbirth mums had a direct hand in this bath’s design, hence the broad rims and curves. An additional feature they designed in was the excellent lumbar support. Contact us for drawings, photos and offers for this birthing bath. 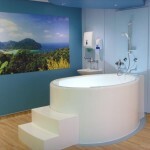 I have seen pictures of the new birth pool in Furness Hospital on your website it looks fantastic. 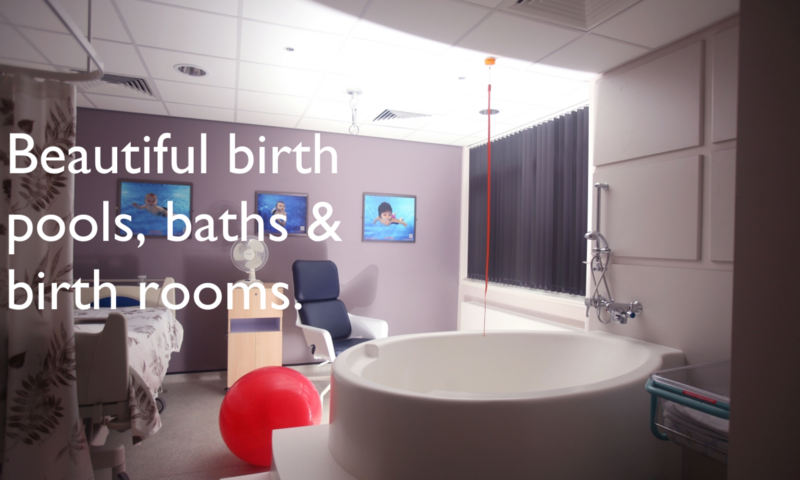 We are looking at developing a water birth service in our hospital in Limerick in the Republic of Ireland. We would like to get some information and details of the birthing pool. I would be delighted if you could supply some information in relation to the birthing pool company and specification that was used. Though I’m proud of our bath, this article is about Estates Management. Furness General is part of the Morcambe Bay Trust and includes Lancaster Royal and the Westmorland (Kendal). Lancaster had a Canberra bath in 2011, and Kendal in early 2014. All works to the rooms (new flooring, lighting, fittings, etc) have been overseen by their Estate Manager, Paul Coward. If you are wondering how to go about a refit of a birth room or the installation of a birthing pool, I’d recommend you have a word with Paul as we never have jobs that run smoother than his. Whilst we offer an installation service, it is possible to hire our expert plumber for consultation, so that he can advise or work alongside your plumber on site. And now, we also offer training in fitting our birthing pools and Aquabirths accredited plumbers would then be eligible for a 10% discount on our baths. Installed at Lancaster Royal Infirmary in December 2012 , then another at the Westmoreland (Kendal) in March 2014 and now there is one at Furness General. All these are within the Morecambe Bay Trust where we have been working with the same Estates Manager throughout. If there is an Estate Manager who wants to check how to have things ready for the installation of a birthing pool, contact Paul – he has it down to a T!